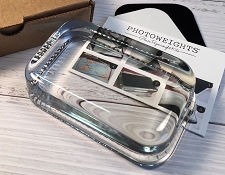 Since 2001, PhotoWeights® has specialized in the art of decorating glass paperweights with photographs, artwork, crafts, and small mementos. 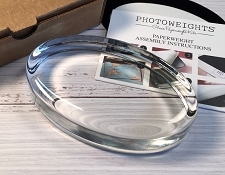 Our easy-to-use paperweight kits, all handcrafted in America, make it a breeze to capture and display your own designs under glass. 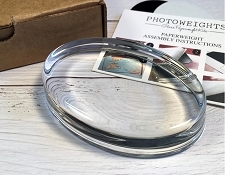 Our shop offers a large selection of glass paperweight kits in a variety of shapes and sizes. We have styles designed to accommodate everything from photos and printed artwork to needlework and small, dimensional objects like dried flowers, shells, scrapbook embellishments, and more. 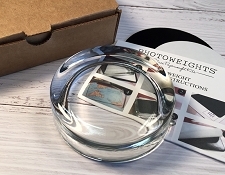 Each paperweight comes with a pre-cut, self-adhesive finishing kit that includes a mounting board for your artwork and a bottom pad to finish the base of your paperweight.